Why settle for canned soup when you make your own heartier fresh-tasting soup without all those additives? 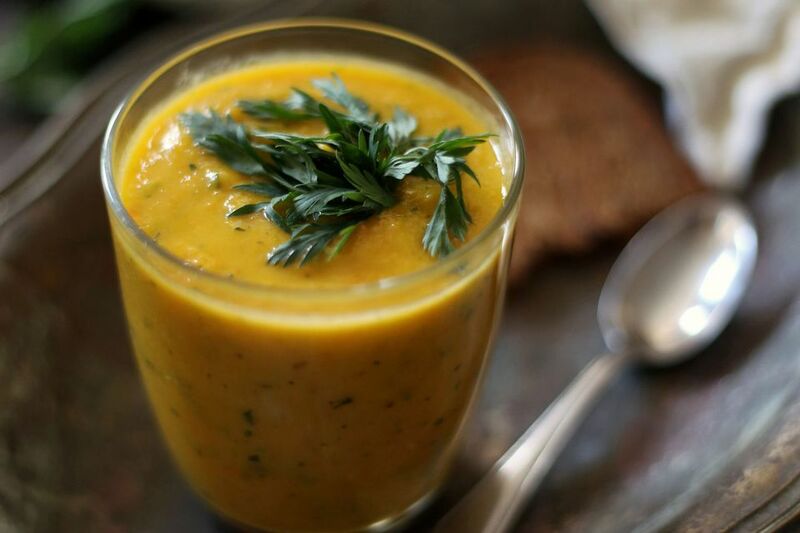 This carrot and zucchini soup is pureed to make a deliciously filling soup to warm you on cool Autumn days. Enjoy with a slice of crusty whole-grain bread. Sauté onions in a soup pot for 5 minutes, or until softened. Add carrots and zucchini, followed by curry powder. Stir for 1-2 minutes. Add chicken broth. Bring to a boil, then reduce heat and simmer for 20 minutes, until vegetables are tender. Add chopped parsley. Transfer soup to a blender and blend until smooth, working in two batches.